The Global Energy Balance Network— a research institute supported by Coca-Cola—is claiming that exercise, and not diet, is the best way to prevent weight gain. It’s a dubious and self-serving message that’s not going over well amongst diet and obesity experts. As reported at CBC News, Blair’s extraordinary claim, along with an accompanying video, recently caught the attention of Ottawa-based obesity expert Dr. Yoni Freedhoff. 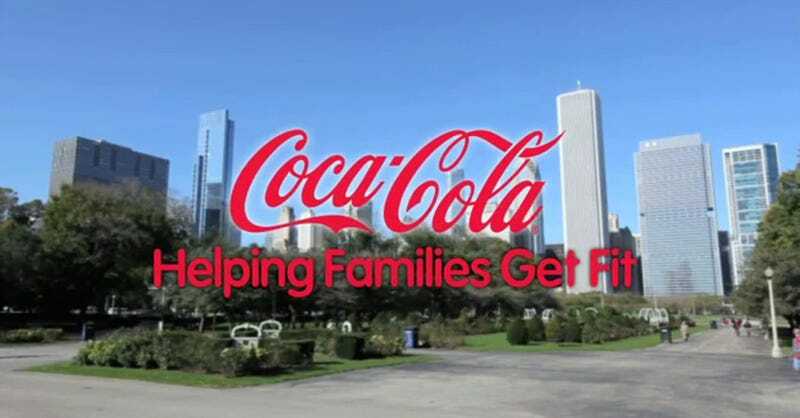 During his ensuing investigation to find the origin of these claims, he discovered that the network is receiving financial and logistical support from Coca-Cola, which isn’t something that was previously disclosed. Alarmed, Freedhoff contacted Anahad O’Connor from The New York Times to get the word out. I find everything going on here very troubling. In the promotional video from Coke’s group, linked to by the NYT, exercise scientist Steve Blair says we don’t know what is causing obesity and we need more research. That message is oversimplified and terribly misleading. We actually know a great deal about what leads to obesity. It’s not a great mystery. People are eating too much and not exercising enough…that makes it inevitable that people will be obese. The group’s emphasis on physical activity is misleading based on what the data shows. There’s no data to support saying if you exercise for 30 minutes three times a week that this will take care of the problem. We have data refuting that. In reality, we need people to stop drinking sugary beverages like soda. Soda is the one consumable beverage that is repeatedly cited as having the biggest impact on obesity rates. From a public health standpoint, we want soda out of schools and we want cities to really decrease intake of soda—and Coca-Cola knows this and knows they are being proactive and defensive against taxes on soda and other limitations. Very disturbing. This issue bears a startling resemblance to the efforts of cigarette manufacturers to deliberately mislead the public about the health risks of smoking. Contact the author at george@io9.com and @dvorsky. Top image by Coca-Cola Foundation.